Strategically create the most prosperous estates in the region! 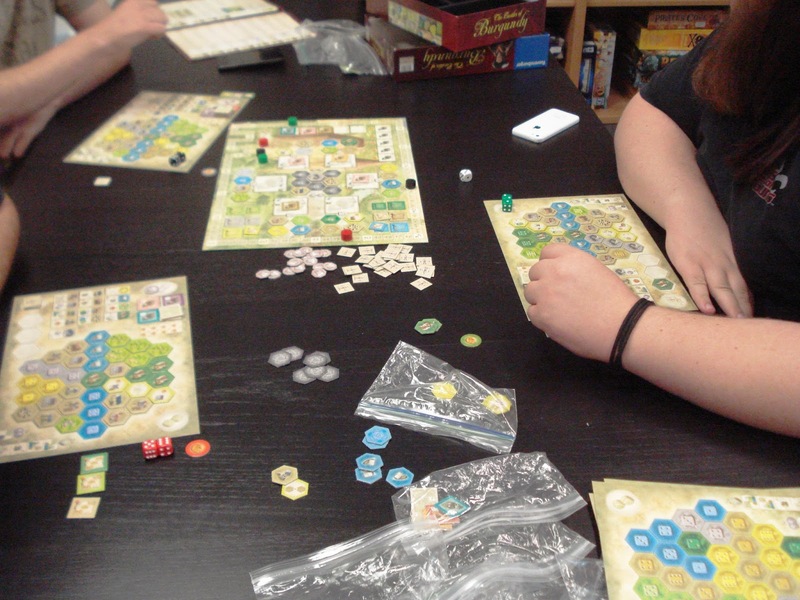 The Castles of Burgundy is a city building game with so many variables it is hard to describe. The game features 12 different types of buildings. Each building type grants either victory points or a special ability. In addition there are 26 unique knowledge tiles each with a different ability. There are also six double sided player boards. Four of the game boards have the same map on side one for a game where up to 4 players have the same map to play on. The reverse side of these game boards each have a unique map. The two additional player boards have unique maps on both sides making a total of nine different available to play. Each turn involves a dice roll, two actions and using as many abilities a player can gather. This is a dice rolling, set collecting, resource management strategy game. After playing The Castles of Burgundy the first time I knew that I'd definitely want to play it again and again. The game has a wide variety of ways to score points. And, points can come in bunches. Additionally this game plays well as a 2-player game. A feature that hits the sweet spot for us. 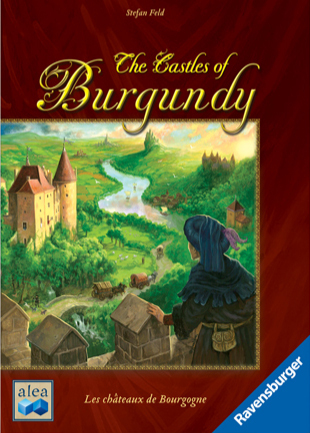 We have an open copy of The Castles of Burgundy available in our Store Demo Library for you come in and try out.